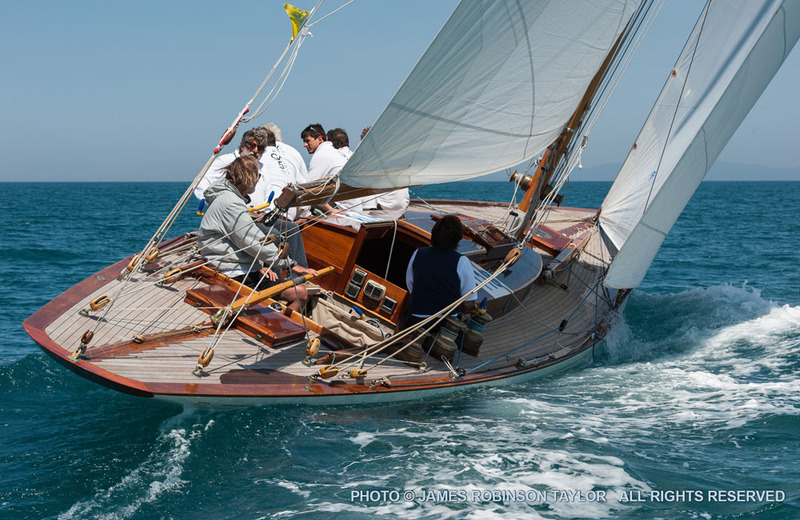 Q Class offers an excellent opportunity for serious but friendly classic style yacht racing! 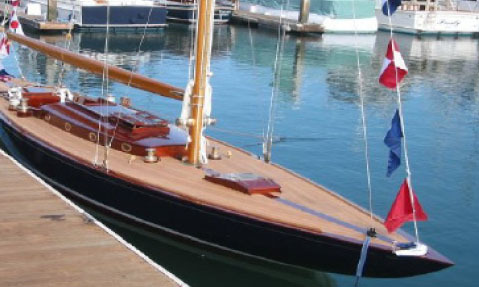 Their sailing features are unlike any modern short keel yacht. 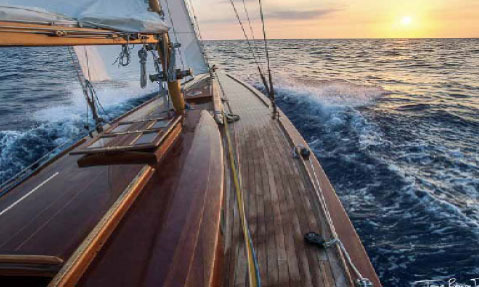 The long deep keel offers refined and easy handling, with no broaching and their long waterline and narrow beam gives them speed and excellent seaworthiness. Modern construction allows for numerous improvements to enhance the design and performance. All these would be encompassed in a revised “Universal Rule for the Q Class, which we have written. 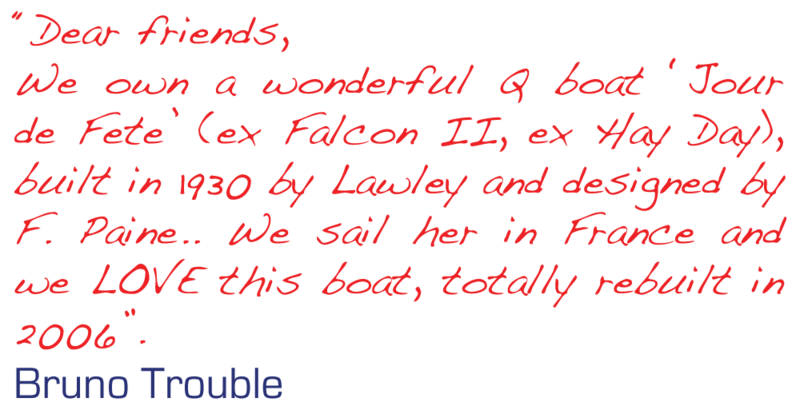 The Rule would include limitations imposed to keep the boats, old and new, reasonably close in shape and hence in performance. 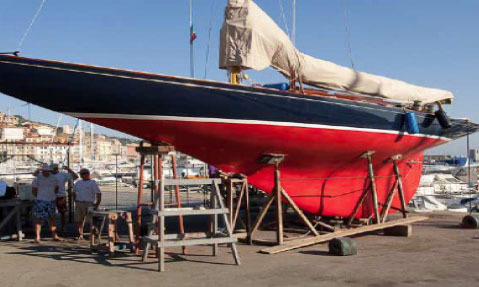 Restored vintage boats are currently altered so much that they won’t rate Class Q at present, but new construction boats would comply. The Class would introduce a VPP Velocity Prediction Program as a handicapping rule (similar to that pioneered by the J-Class). 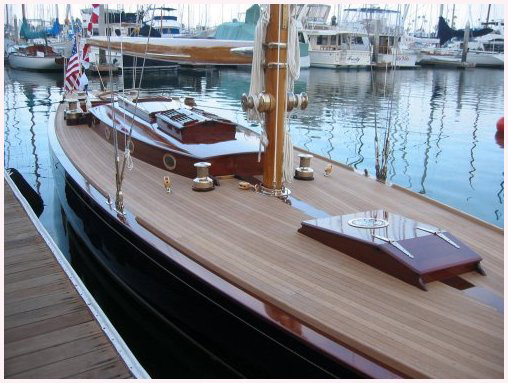 In that way vintage boats can compete on handicap with new construction boats. 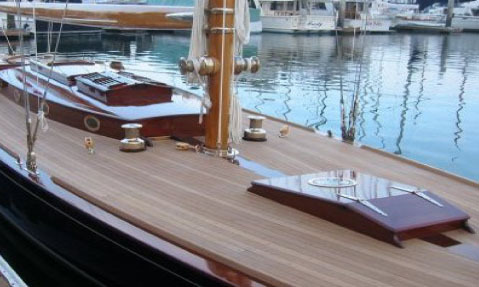 Yachts designed in very recent or contemporary times, designed to this New Universal Rule, but remaining the same classic style: long, narrow, with long overhangs, deep hulls to provide lots of headroom, and similar displacement as earlier boats. 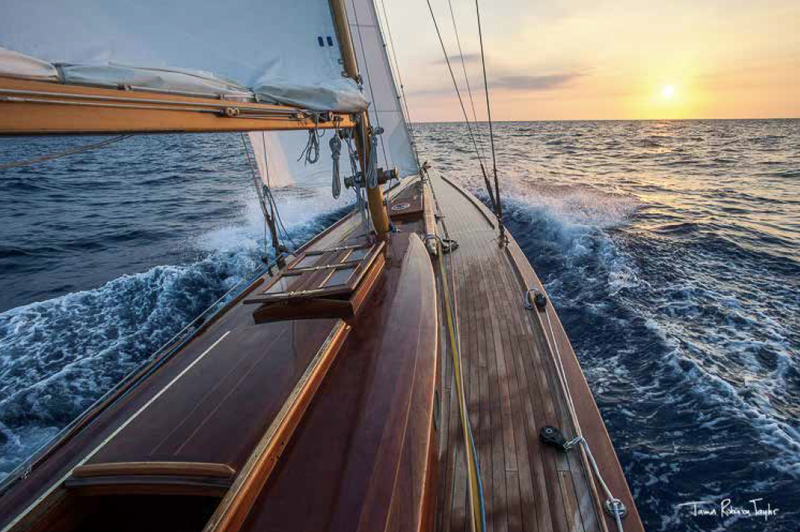 New yachts would benefit from modern rigs, advanced sail technology and therefore even greater driving power. 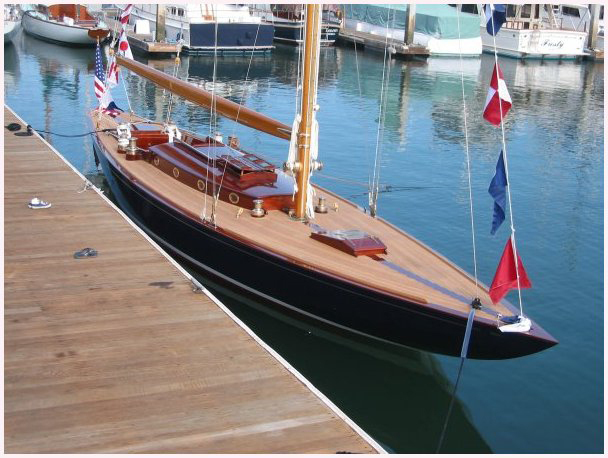 We can only utilize images of the classic vintage Q yachts as there are no new construction boats built yet.